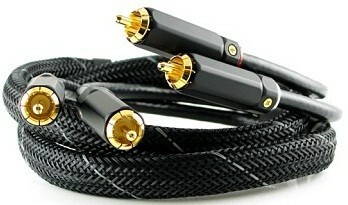 Graham Slee AgSat90 audio interconnect cable is not dissimilar to the popular Cusat50, although, crucially, it has the addition of a parallel 99.99% pure annealed silver conductor to compliment the high-conductivity, high purity, annealed copper signal conductor. The AgSat90 features the same 100% coverage shield of overlapping copper tape covered by a high density copper braid. The high conductivity shield helps to minimise ground potentials between equipment for the lowest noise. The AgSat90 has a higher capacity at 90pF, but sufficiently low to assist with source equipment high frequency stability. 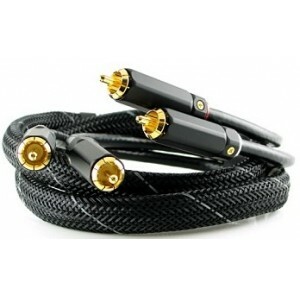 AgSat90 audio interconnect cables are hand made by Graham Slee, abiding to exacting standards of excellence, and they are also jacketed in stereo pairs or as separate dual mono pairs using high quality connectors.